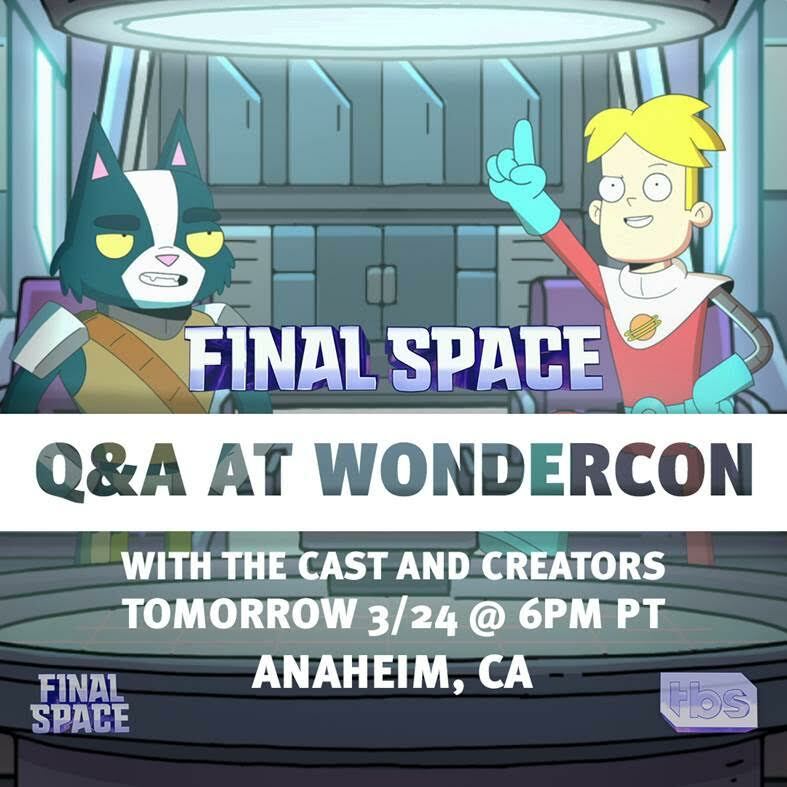 TBS will be having a presence at WonderCon this year in support of their latest animated series, FINAL SPACE. Final Space is an epic animated sci-fi comedy about a spaceman named Gary, who is working off a prison sentence and makes a mysterious new alien friend Mooncake who he immediately bonds with. But what Gary doesn’t know is that his adorable new sidekick is actually wanted by the sinister Lord Commander who will stop at nothing to use Mooncake's untapped powers for evil.